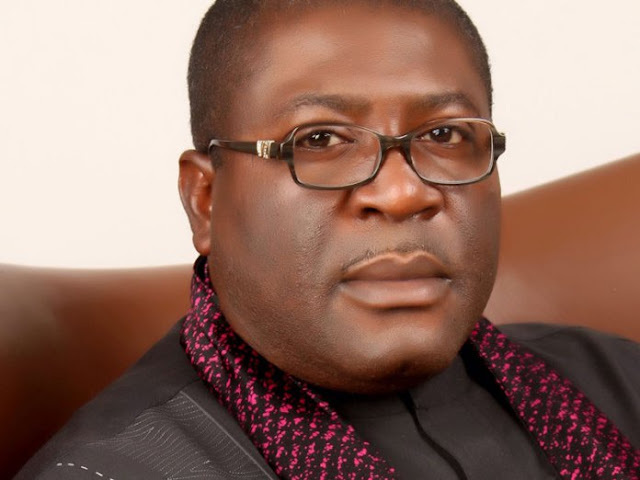 Madumere: The well-being of Imolites is my priority! In an interview with Amby Uneze, the Imo State Deputy Governor, Mr. Eze Madumere dismissed nursing any ambition in 2019. On the contrary, he said his major interest was to assist his boss, Governor Rochas Okorocha to deliver on his promises. How do you see the victory of your party in the recent rerun in the state, which gave rise to a senator from South-east? It is refreshing news having an All Progressives Congress Senator, who will not only represent the Imo State but the entire Eastern Region. I believe he would do well given his legislative background as the immediate past Speaker of Imo State House of Assembly. I wish Senator-elect Benjamin Uwajumogu all the best as we are hopeful he would deliver the goods when he gets into the mainstream national politics. You’ve been in charge of the affairs of the state for the past one month that your boss has been away, do you think his absence was felt by Imo people? My leader and boss, Owelle Rochas Okorocha, for the record was not away for one month but for only three weeks. Of course there are things my Governor does that the good people of Imo State will always feel his absence whenever he was not around. Again, he has groomed personnel, who are capable of standing up to any challenges whenever duties call. Let me clarify that it is never an aberration for any leader to take a break to focus on other areas that will add value to the state. These include summits, roundtable discussions or even conventions and high powered investment tours, which could be investment or peace initiative. Again, he is also entitled to go on vacation just like every other worker is entitled to periodic leave, either for check-ups or some rest from work. It is generally believed that your experience so far in government has put you in good stead to steer the ship of the state from 2019, when Owerri zone would be presenting its first eleven for the governorship. How prepared are you? You know we are just about one year and three months in office in this dispensation. I have heard people talk about 2019 on the pages of newspaper. For me, I am more interested in joining hands with my leader, Owelle Rochas Okorocha in his effort to reposition Imo State for the future. The truth is that I am part of the government in power. The good people of Imo State have given us the opportunity to serve them. You also know that I am on the same ticket with our governor, Owelle Rochas Okorocha. Rising from this premise, we are more interested in repositioning Imo State as non-oil producing State. From the prevailing realities, the problem of monoculture has eaten deep into the economic fabric of our States and the nation at large. By the special grace of God, we have attracted a company that would soon begin to produce electric meters and other electrical and electronics in the state. In the next few months, Mbaise will become a destination for those who deal on electrical and electronics. Of course, many others are coming. It may also interest you to know that we are very much focused on renewing the Owerri Urban to meet up with the modern cities of the world and to prepare it to be most conducive for investment and businesses to thrive. We cannot continue to procrastinate. Remember, this is not the first time such had been tried but just because those who championed this all-important project lacked political will to carry it to safe delivery. We are aware of the effort at dualising some major roads but ended up not achieving that. We strongly believe that the end will justify the means. There is need to plough into the status of the state as a tourist destination owing to the large private sector-driven investments in the hospitality sector. There is need to add value to this development by ensuring that Owerri Capital city becomes the envy of all. Beyond this, we are not against those priding around and using 2019 as pendant but we are, for now, focusing on how to kick-start the 27 state-of-the-art hospitals in the 27 local governments of Imo State. By the special grace of God, some of them would have got off the ground in the month of December 2016. We are faced with challenges of bringing about succor to our people with the present recession being experienced. We are saddled with the responsibility of mobilizing our people towards productive sector and not dwelling on cash and share. We have come up with a sound policy towards re-engineering the system. We are re-focusing effort towards agriculture and other small scale enterprises. I am from Owerri zone and Owerri zone has the inalienable right to seek the understanding of other zones to allow it go solo in producing a governor for the state but that is not at issue right now. Making the economy work and making Imo State work on sustainable basis is the key here for now. Having come from a zone believed to have suffered marginalisation in the power equation, do you hope such wrong could be put right by 2019? These questions are carefully laid land mines by you guys my brothers. Never mind. Owerri Zone has rather benefitted immensely from the system in the area of infrastructure, road networks, real estate and as the preferred destination for major hospitality merchants and of course, houses monumental projects of Rescue Mission Government and the past administration. Like I said earlier, we beg to face governance for now and leave politics alone. As the number two citizen of the state, how prepared is your government in finishing the road construction and other projects begging for attention before 2019? My leader, our Governor, Owelle Rochas Okorocha has at different fora promised that our government will complete all the projects it embarked on before the end of this dispensation. Remember that Rescue Mission government led by Owelle Rochas Okorocha has completed most abandoned projects begun by previous administrations. People should rest assured that whatever project we began will be given due attention until completion. Remember that our Governor, Owelle Rochas Okorocha knows that if you want to beguile the time, you have to be like the time. Some of our people who complain are those I feel are not in the know of the vision behind the ongoing Owerri Capital renewal. I share in their feelings and fear but there is no other better time than now. Change is the hardest thing people embrace but it is inevitable. In the next five years, when the expected growth in population and economic activities will manifest, I am sure we shall all begin to appreciate the vision. If we do not make a change, the world will leave us behind. Just the way we are petting our civil servants to seize the opportunity given to them to build on other areas and to develop other streams of income through agriculture. Again, Imo State populated with highly educated people and I expect at this time that they should be throwing back at us the needed progressive challenges because the policy in itself is worthy of appreciation by all. And to the best of my knowledge, there are no hidden charges. What do you say to your people in view of the current state of the economy? My message is message of hope and encouragement. It is a message of bonding together to defeat the common enemies of man which are want, poverty, security of life and property and building a free state with the hope of a better future for our children and generations to come. My advice to them is that hard times never lasts but people with vision, hard work, patience and determination will out-live times as this. I know it is just for a while. Let us wear our thinking cap and put our ingenuity to work, I believe, we shall surely sing another song. Do you think that the way out of the present economic quagmire is a return to agriculture and is that the reason for your government’s policy on back to agriculture initiative? For me, the present economic downturn, like I said earlier, presents to us another opportunity to redesign and re-engineer our economy – an economy that is environmental sensitive; that will tap into the resources that give us a comparative advantage. Again, there is need for more effort in research as idea rules the world. At present, what is paramount is to channel energy in agriculture and agribusiness. This is so because, if you have food security, there is no recession in the future that you cannot conquer. Whereby, you depend on foreign goods to feed your population, you are doomed. In Imo State, we are looking at time management. We are focusing on ensuring that our people get involved in agriculture and agribusiness. This is a well thought out policy, which puts so much into consideration before settling for it. In Nigeria, Fridays are usually engaging with all manner of social activities thereby keeping civil servants off work with excuses coming from such established traditional pattern of behaviour. It could be marriages; it could be funerals and other social activities. We are saying, get involved; use Thursday and part of Friday to do some productive work to add to the food security. It may interest you to know that whatever you make from this exercise is your extra income and yet your income is intact for you. Let me also add that idea rules the world. Think it out, hit it and you are there. People like Mark Zukerberg, Emeagwala among others made it by their idea. How do you spend your free time as a deputy governor? I spend it with people. It is the time I use to speak to my children or see those who wish to see me for one thing or the other. I can also take that time to browse through the webs, social media and other relevant sites to get myself acquainted with some developing stories on local and foreign issues. It is true that I usually go to bed by morning because I always take time out to attend to some issues of urgent attention that affect people. It could be mere advice or sense of direction. Such relaxed atmosphere allows me to weigh in on some feedbacks on policy issues and as they affect the people by themselves. This is the reason my phone line since the emergence of GSM has remained the same and unchanged. I may not pick strange numbers but text messages allow me the time to go through the messages by this time and place invitations to some of them.